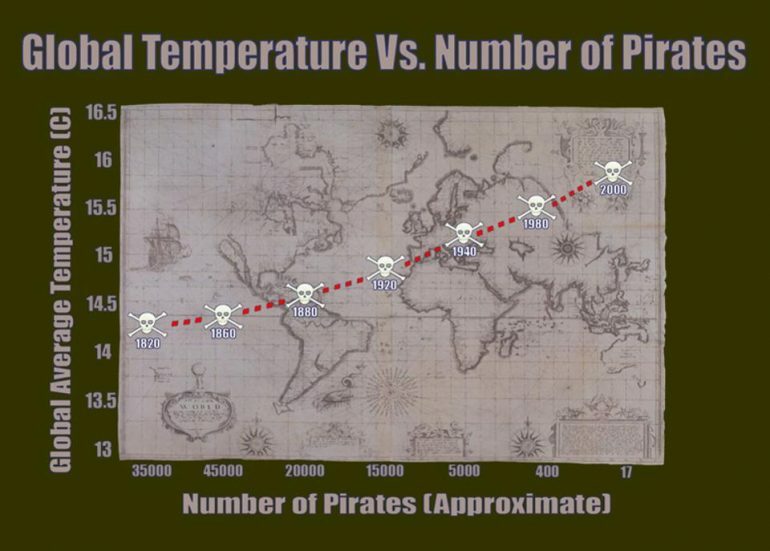 It’s official: the stats are in, the data’s been analyzed, and the true cause of global warming has finally been revealed: a worldwide crisis in declining pirate numbers. The problem, as you’ve no doubt heard before, is that you can prove anything with facts. The data itself might be irrefutable, and top end visualizations can bring the key trends and insights to life, but if you display it disingenuously, cherry pick the bits you like, or mistake simultaneity for causality, you can use it to seriously mislead people (or even yourself) about the truth. That can be very bad news indeed. After all, as Lea Gaslowitz explains in this awesome TED talk, we’re all used to being sold wildly exaggerated or misleading statements by advertisers and politicians, but most of us presume that stats and graphs don’t lie. 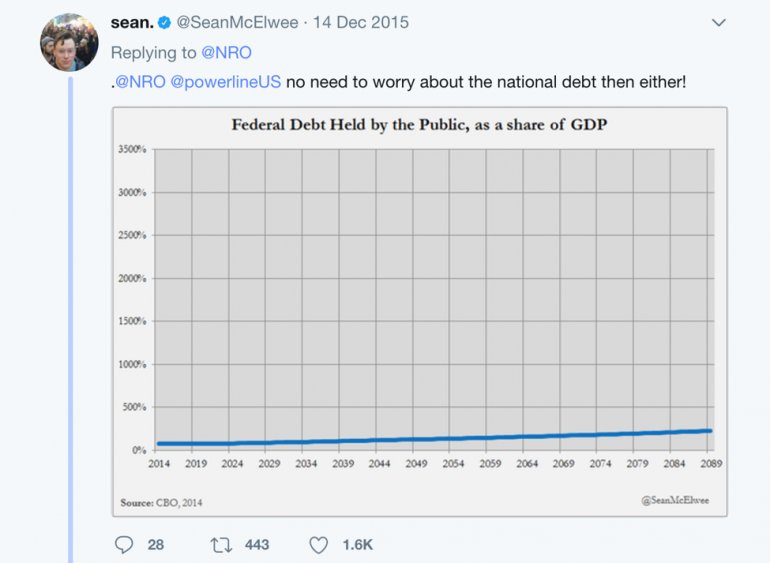 This makes it way too easy for companies, media outlets, or other parties with a particular bias to add legitimacy to an otherwise circumspect claim… just by whacking a questionable graph next to it. 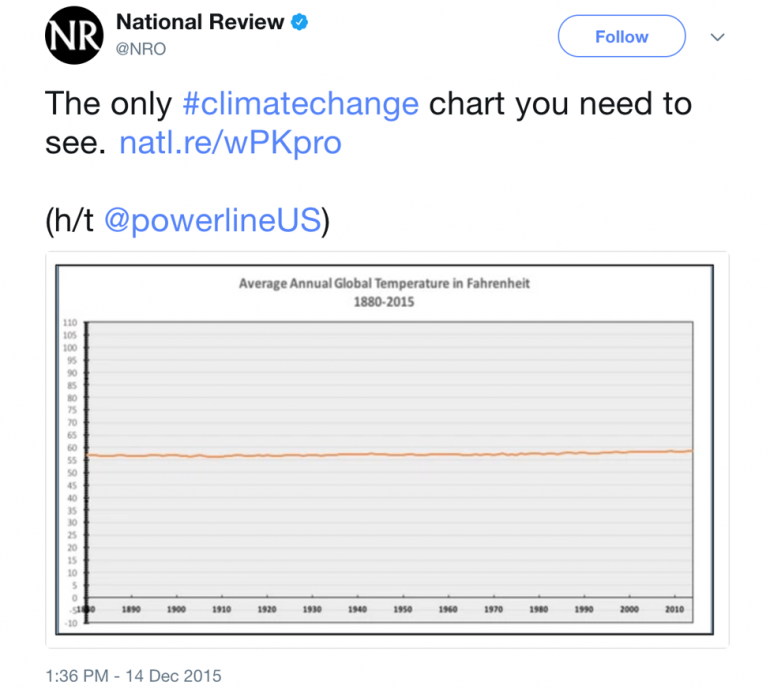 One of the simplest ways to mislead people about the results without actually interfering with the data is by distorting the scale of a graph to exaggerate or downplay change over time. At a glance, it looks like The Times is getting more than double the number of full-price subscriptions than its competitor, the Daily Telegraph. Look a little closer, though, and you’ll spot that the X axis values start at 420,000, not at 0. By snipping just the top of the bar chart for display, The Times makes its modest 10% lead look much, much more dramatic than it really is. … As plenty of people were quick to illustrate, with similar graphs of their own. So… what can you do to make sure you don’t fall into the same trap? Here are some pointers to keep you on the right side of the data gods. If there are errors or inconsistencies in your data, you can’t help but end up with misleading graphs. Don’t skip the hard graft of checking for accuracy, cleaning, harmonizing, and streamlining your data before you start, and resist the urge to cherry-pick from conflicting data sources until you get what you want. You should have a single version of truth to work with. Should you use a bar chart? Line graph? 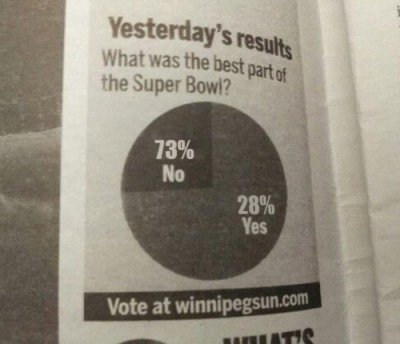 Pie chart? Heatmap? Or something else entirely? Each of these types of visualization comes with its own set of benefits and limitations, so think carefully about whether it’s the right way to present this particular set of information. All data needs interpretation, even when you have a lovely shiny visualization to help you make sense of it. Make sure you provide as much context, explanation and annotation as possible to make sure that the results aren’t misinterpreted – and never use a graph to push a narrative that you know the data doesn’t fully support! Think you can tell a data disaster from a master misleader? A dodgy design from a deliberate dupe? 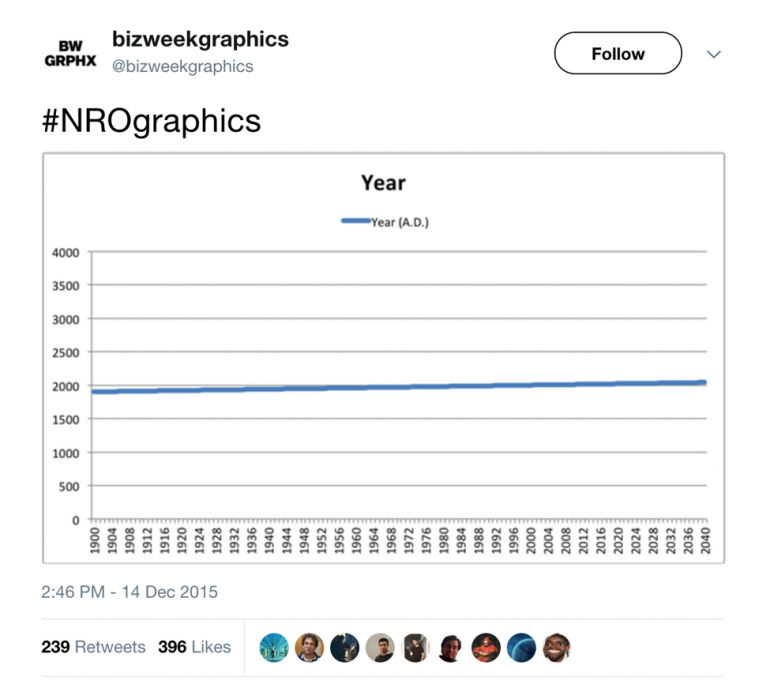 Take the Grim Graph Quiz, below!